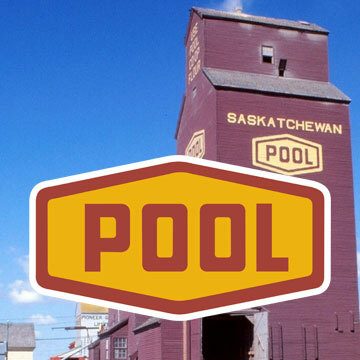 Saskatchewan Wheat Pool (SWP) started their sponsorship of curling in Saskatchewan in 1995 through to 2003. It was the perfect match, as the Wheat Pool was in every community, large and small as were there curling clubs in most every community. The SWP was able to showcase the company, advertise their support of the community and of course, in the long run, the game of curling benefited as well. The SWP sponsored breakfasts, luncheons and full meals at the District and Region playdowns with their employees helping as well with the presentation of pins and crests. At the North/South playdowns, their association was even more evident with the placement of signage and information booths to advertise and promote the various departments of the Pool. Always keen to facilitate in any way, the Pool Tankard Men’s Provincials were gala affairs. They would bring in busloads of their customers to watch exciting curling games and attend the grand banquet. Presentation of the winners package to the Provincial championship team included the Saskatchewan Wheat Pool rings coveted by the competitors.